Shine bright in neon. Make any corner of your space a little showier with these Vegas inspired figurine lamps. Featuring a dimmer so you can adjust your level of fabulousness. CLASSIC UPGRADED: Who doesn't like a room with great lighting? 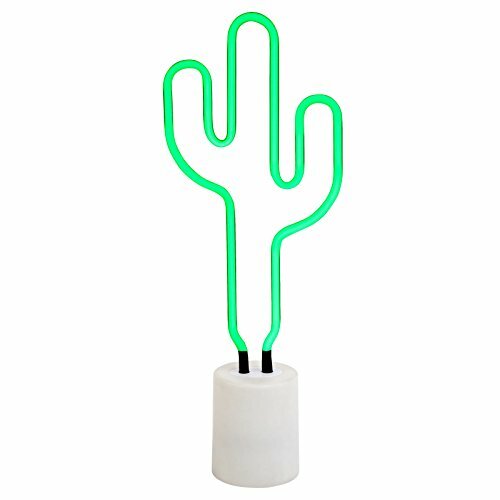 Now you can upgrade your lighting with Sunny Life fun animal and fruit vintage Vegas inspired neon lights! Toss out the boring desk lamp and add color to the darkest room. CREATE AN OASIS: Decorate your bedroom, dorm, apartment, any room really that needs a dash of contemporary fun! The ambiance that colorful lighting adds is perfect for a relaxing night with a good book and cup of tea or a glass of wine. They also add awesome and great feng shui to the atmosphere being neon and nontraditional. GREAT FOR GIFTING: An ideal housewarming gift, our decorative lights will add a quick homey touch to anyone's new house. If you have any questions about this product by SunnyLIFE, contact us by completing and submitting the form below. If you are looking for a specif part number, please include it with your message.